Looking for inspiration? 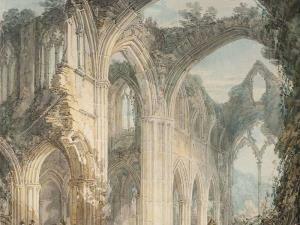 Discover the effect of the ruins of Tintern Abbey on the Romantic poets and artists! Our historical interpreter will be welcoming visitors to explore the ruins of Tintern Abbey and see why it's inspired artists and poets, like Turner, Wordsworth, Tennyson and many others, for over two hundred years - from the very first tourists to Tintern right up to the present day.